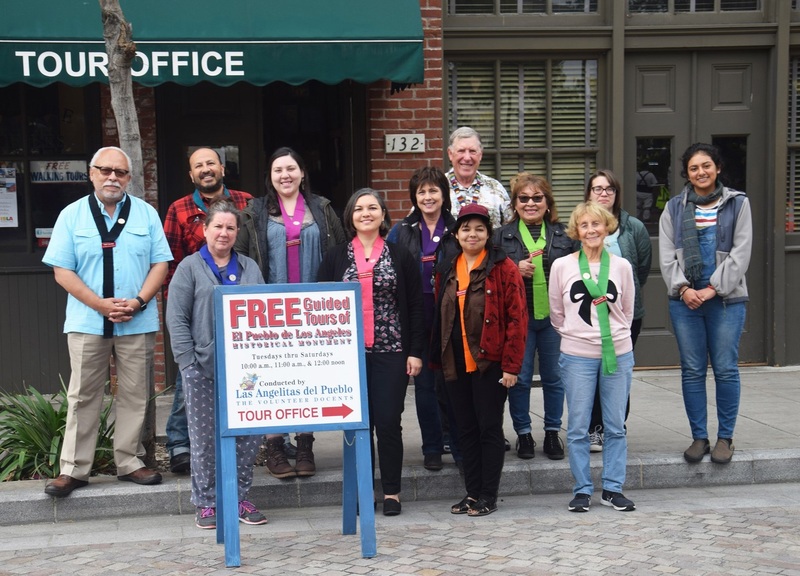 PLACE: The Las Angelitas Tour Office at 130 Paseo de la Plaza, an easy walk from Union Station and next to the city’s first firehouse and near the plaza’s central bandstand. Classes feature presentations, lectures, and short demonstration tours and focus on the early history of Los Angeles, beginning with indigenous life before the city’s founding as a Spanish pueblo in 1781 and continuing through the Mexican War of Independence, acquisition by the United States, and its subsequent growth. This is a great opportunity to study international, regional and local history. Experienced docents will also demonstrate best practices in how to give a tour. All Angelitas docents commit to volunteering two weekdays or one Saturday per month, and those tour hours start after a provisional period following training. Tours last from 15 minutes to 50 minutes and cover various locales throughout the park including the plaza, Pico House, Avila Adobe, and more. Benefits of becoming a docent include building relationships with people who share a love of history and culture, becoming an active participant in the community, hearing regularly scheduled guest lecturers, taking behind-the-scenes field trips to destinations around the city, and more. For more information or to sign up for the next Las Angelitas del Pueblo docent training session, e-mail training@lasangelitas.org.